We know, you probably don't know much about Bogota. You might also be skeptical about claims that this city of an estimated 8 million people stands shoulder to shoulder with other storied South American capitals. But with Colombia as a whole experiencing a tourist resurgence, it's time to get familiar with its vibrant capital city. 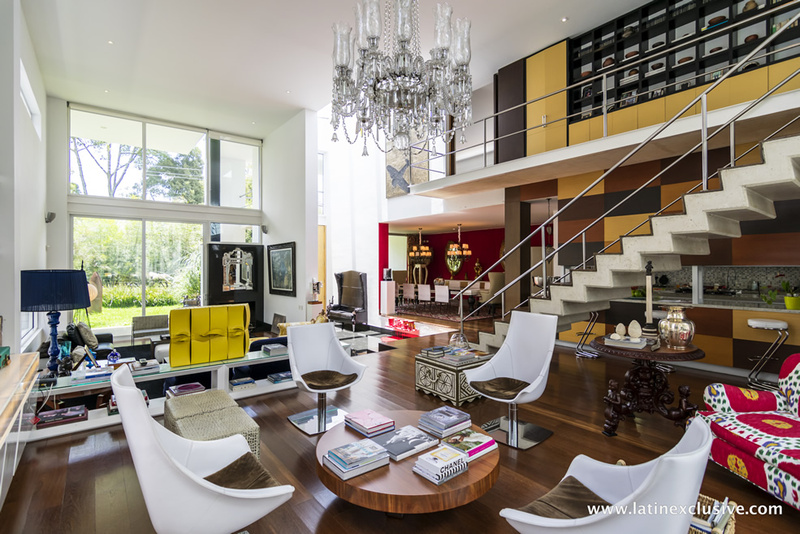 Often called the Athens of South America, the best of Bogota is a treasure of museums, art galleries, international fairs and cultural events. About 60% of the world's emeralds come from Colombia, and there are myriad opportunities to buy them in Bogota. Named the UNESCO City of Music in 2013, a slate of festivals throughout the year is celebrating everything from Beethoven to cumbia, the native Colombian music popular throughout South America. Meanwhile, a growing gourmet scene has led to a boom in sophisticated eateries. And, of course, it practically rains fresh brewed Colombian coffee. So now you know -- Bogota isn't just a stopover en route to other South American cities, it's a destination on par with the best of them. Here's how to find the best of Bogota. One of Colombia's most important chefs opened this exquisitely renovated 1914 National Heritage Site mansion offering Harry's original cuisine combining Colombian and international ingredients. Hidden away on the second floor, The Chef's Table is an intimate, reservation-only dining area where small parties can try Harry's personalized menu with wine pairings. Among the restaurant's famous patrons are Bill Clinton and Barack Obama. Graduate of Le Cordon Bleu Peru, Chilean chef Nicolás Quintano draws upon his visual arts background to combine new cooking techniques employing impeccable presentation. A sophisticated dining experience in abest of Bogota area, Matiz offers gourmet dishes with complex and surprising flavors. The seven-course tasting menu is a unique experience tailored to the tastes of each eater and inspired by the creativity of the chef. The outdoor terrace with its waterfall and vertical gardens is ideal for day or night dining. Cost for the seven-course tasting menu without wine pairing is COP$120,000 ($66). Excellent, traditional Colombian dishes such as ajiaco and sobrebarriga have been circulating through this quaint dining anachronism for almost 50 years. The two-story colonial-style house has an outdoor terrace with a fireplace, a private dining area for parties up to 25 people and an adorable bar. Live music is played at lunchtime on weekdays. One of the best Peruvian restaurant of the city, extremelly well located on Calle 85, next to the Zona T area. Excellent, traditional, amazing design and great service. A must do. You can dive into pre-Colombian culture, religion and art at this museum, home to the largest collection of pre-Colombian gold artifacts in the world. The permanent exhibition is in Spanish and English and additional information is available on English audio guides. Emerald showcase featuring Colombia's finest gems. A visit to Bogota offers the chance to see emeralds from the world's most fertile emerald mines. The museum includes a simulation mine, exhibition room with a variety of emeralds and a tempting jewelry shop. Breathtaking view of the city from up here. This mountaintop overlook founded in the early 1600s provides a best of Bogota view at above 10,000 feet. The panoramic view of the vast city below is worth the trip, but there are numerous souvenir shops through which to browse, and delicious French and Colombian restaurants to try. The easiest way to get here is via short cable car ride. Artisan products at the Sunday fair. A tiny colonial town within the big metropolis, Usaquen is a district in which you'll discover small, quirky restaurants and bars with first-rate food and live music. A colorful arts and crafts fair is held on Sundays and holidays. Colombian musicians play the harp, saxophone or marimba on street corners, local artists sell paintings and craftsmen display jewelry, leather products, hats and bags crafted by indigenous tribes, and more. Approximately 190 miles of bike routes keep city dwellers in shape. Bogota is home to the world's largest bicycling network, the Ciclovía, which covers close to 300 kilometers (185 miles). This mostly flat city is good for biking, and on Sundays some major streets are blocked off to allow extra room for the bike route. A tour shows off some of the plazas, parks and historical monuments of Bogota. The tour costs COP$35,000 ($19), bicycle included. 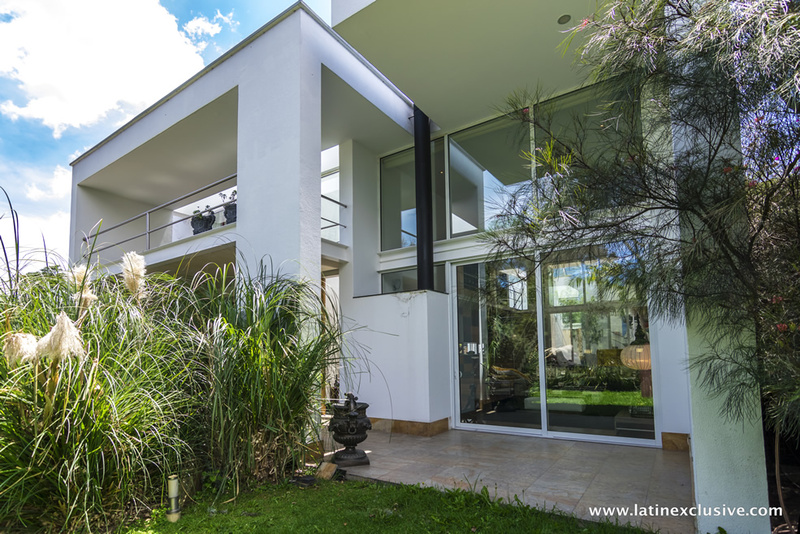 Spectacular two floors house located in a quiet and welcoming area of ​​the city of Bogota.